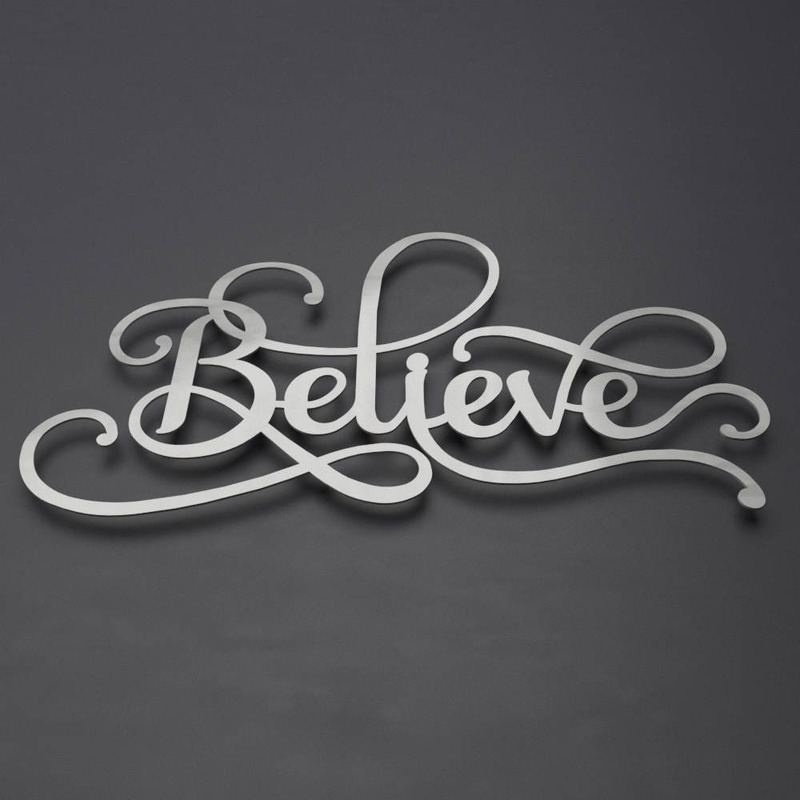 Believe Metal word Art 3D Sign. 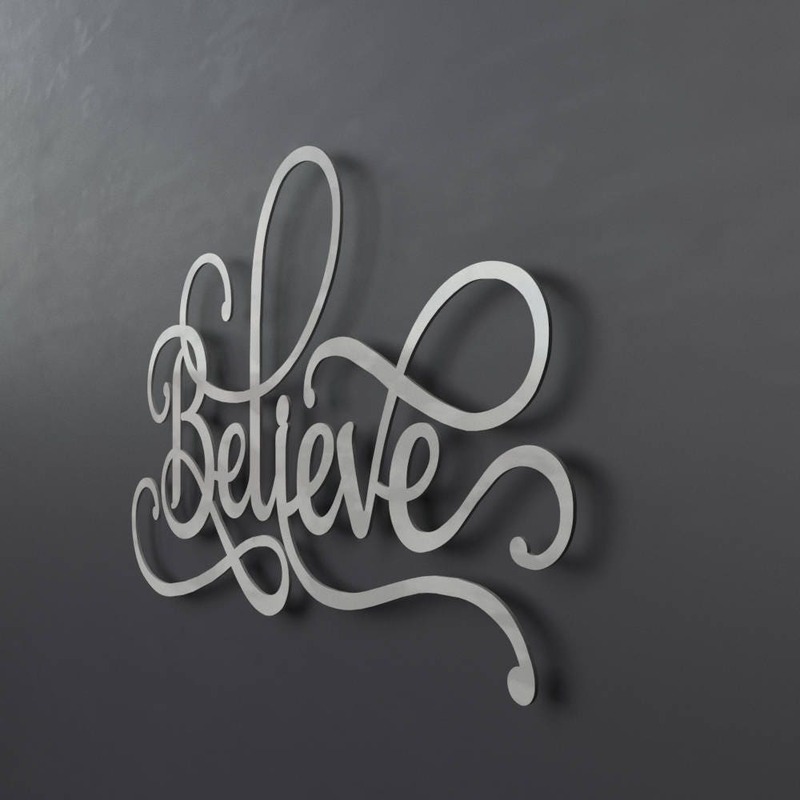 Marked by crisp modern lines that only a laser can create this inspirational "Believe" sign is precision cut from high grade stainless steel that's both durable and lightweight. 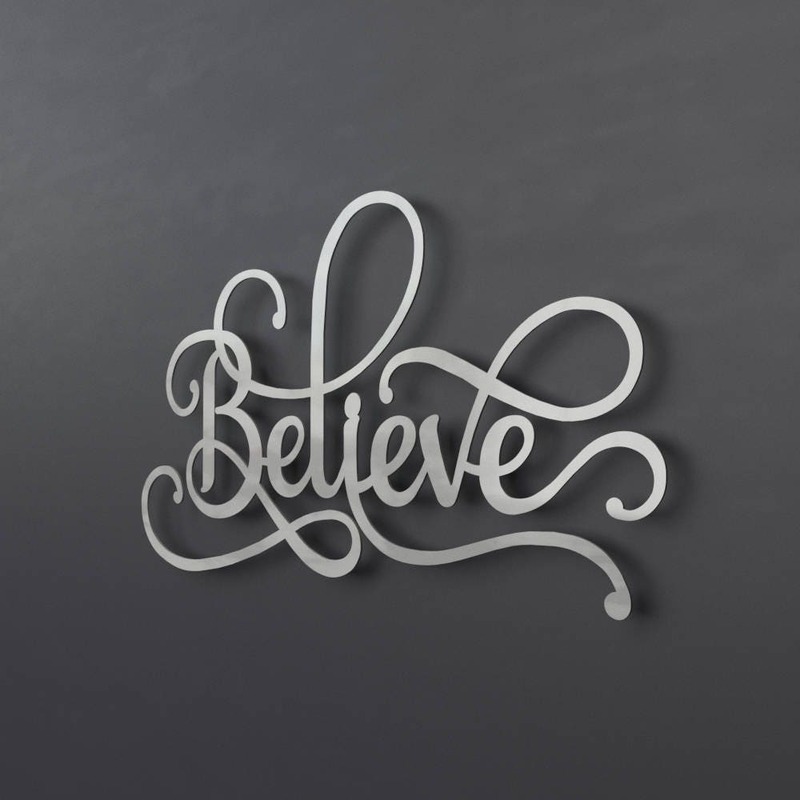 Making it an excellent choice for both indoor and outdoor wall sculptures.